Ø Explain how the civil liberties may at times be a matter of majoritarian politics and offer several examples. Ø Discuss the relationship of the Bill of Rights to the concept of majority rule, and give examples of tension between majority rule and minority rights. 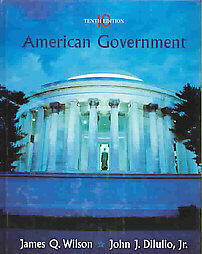 Ø Explain how the structure of the federal system affects the application of the Bill of Rights. Ø Describe how the Supreme Court has used the Fourteenth Amendment to expand coverage in the federal system. Discuss changing conceptions of the due process clause of the Fourteenth Amendment. Ø Explain the distinction between “protected” and “unprotected” speech and name the various forms of expression that are not protected under the First Amendment. Describe the test used by the Court to decide the circumstances under which freedom of expression may be qualified. Ø State what the Supreme Court decided in Miranda v. Arizona, and explain why that case illustrates how the Court operates in most such due process cases. In the 1960s, the Supreme Court began broadening the way in which constitutional rights are interpreted. In the area of free expression, the First Amendment now guarantees virtually any form of communication, although several exceptions exist. First, libel—false statements that harm a person’s reputation—remains unprotected, but it has been made more difficult to prove in certain situations. Public figures must prove actual malice, an extremely high burden in which a defamed person must establish that a statement was uttered either in the knowledge that it was false or with reckless disregard for its accuracy. In 1991, the Court went so far as to exclude fabricated quotations from the definition of libel so long as the misquote did not “materially change” the meaning of what was actually said. Obscenity is the second form of speech not protected under the First Amendment. The problem is that it is not entirely clear what constitutes obscenity for constitutional purposes. The absence of a precise definition has led to anomalies, such as the rap group 2-Live Crew being acquitted of obscenity in Broward County, Florida, despite the conviction of a record store owner for selling albums in the same county that contained the same songs. The Court’s current Miller test of obscenity hardly articulates a satisfactory standard for banning a particular kind of speech. The third variety of speech rendered at least partially unprotected under the First Amendment is called symbolic speech. Expression of this kind typically involves some type of illegal behavior designed to communicate an idea. Speech expressed through conduct is frequently referred to as “speech plus,” the plus being the conduct. Activities considered symbolic speech include demonstrating and marching, pouring blood on army recruiting records, and wearing a black armband as a protest. Such speech is not wholly without constitutional safeguard, but it is entitled to a lesser degree of protection. In the words of Justice Goldberg, “We emphatically reject the notion…that the First and Fourteenth Amendments afford the same kind of freedom to those who would communicate ideas by conduct…as these amendments afford to those who communicate ideas by pure speech” (Cox v. Louisiana (I), 1965). Thomas Tedford summarizes the Supreme Court’s position in determining whether behavior is considered “symbolic speech” in the following way: (a) the speaker must have an intent to convey a message; (b) the audience must be likely to understand the message; and (c) the speech must make a contribution to the body of knowledge. The Court has allowed the government more latitude in regulating the conduct associated with symbolic speech than the expressive component itself. Thus the government can punish the burning of a draft card as a form of protest, since its goal in making the regulation is not to suppress the idea being communicated but to defend the nation’s security. On the other hand, the government cannot forbid the burning of the American flag as a form of protest since the behavior does not threaten a breach of peace, making the suppression of an idea the only purpose behind the law. The fourth type of expression lacking complete constitutional protection is commercial speech. At first, the Supreme Court placed commercial speech entirely outside the First Amendment (Valentine v. Chrestensen, 1942) but eventually it was provided limited coverage: Advertising, according to Justice Harry Blackmun in Bigelow v. Virginia (1975), is “not stripped of all First Amendment protection” so long as it is truthful and of value to the public. It is only when advertising is either deceptive or involves an illegal or harmful product that commercial speech is subject to suppression or regulation. The religion clauses of the First Amendment are caught in a similar web of confusion. The free exercise clause was initially treated, in the words of Leo Pfeffer, as a “stepchild” of the free speech clause. Until the 1960s, cases raising free exercise claims were typically decided on the basis of principles of free speech. In Sherbert v. Verner (1963), the Court gave the free exercise clause an independent identity and required the government to provide a “compelling interest” to justify any burden on the practice of religion. The confusion enters through the manner in which this tough standard was implemented, with the Court almost always deciding against the free exercise claim. In 1988, a fatal blow to Sherbert was rendered in Employment Division v. Smith, in which the compelling interest test was held inappropriate to criminal conduct. People can no longer rely on the free exercise clause to exempt their behavior from a law of “general applicability” that is not designed as an attack on a particular religion. In response to Smith, the Congress passed the Religious Freedom Restoration Act (RFRA, 1993), which was explicitly intended to displace Smith and reinstate Sherbert’s compelling interest test. In City of Boerne v. Flores, Archbishop of San Antonio (1997), however, the Court ruled that the RFRA exceeded Congress’s authority. The opinion, delivered by Justice Kennedy, noted that Congress could properly “enforce” the constitutional right to free exercise of religion, but that such enforcement could only be “preventive or remedial.” The RFRA, however, involved the Congress in defining the right. As such, it contradicted the separation of powers. Second, the RFRA was described as wildly “out of proportion to a supposed remedial or preventive object”: “All told, RFRA is a considerable congressional intrusion in the states’ traditional prerogatives and general authority to regulate for the health and welfare of their citizens and is not designed to identify and counteract state laws likely to be unconstitutional because of their treatment of religion.” Thus the RFRA also contravened federalism. The Smith standard has therefore been reinstated, though legal scholars speculate about what additional actions might be taken by Congress. Many of the same problems haunt the establishment clause, which, Thomas Jefferson argued, is intended to erect a “wall of separation” between church and state. It is generally agreed that the clause forbids the creation of an official religion and restricts the government from becoming involved in church matters, even on a nonpreferential basis. Beyond that, the meaning of the establishment clause remains elusive. The Court in Lemon v. Kurtzman (1971) articulated a three-part test to determine violations of the establishment clause: (1) the statute must have a legislative purpose that is secular; (2) a government policy must have a “primary effect” that neither advances nor inhibits religion; and (3) a government policy must not result in an excessive entanglement between church and state. These tests have produced a great deal of uncertainty, to the point where some courts have openly refused to abide by the Lemon standards, while others have distorted their meaning to reach a desired conclusion. Thus the ambiguity of both religion clauses awaits further judicial clarification. Many controversial civil liberties cases occur in the area of criminal procedure. The exclusionary rule states that illegally obtained evidence or confessions cannot be used against a defendant. Search warrants are normally required and must describe what is to be searched and seized. They can be issued only upon probably cause or reasonable grounds due to presumed illegal activity. However, if the individual is arrested, the police can search her or him, things in plain view, and things and places that the individual has under her or his immediate control. During the 1980s, the original ruling in Mapp v. Ohio was relaxed somewhat by the Supreme Court, which limited the exclusionary rule’s coverage and incorporated a “good faith” exception. A logical corollary of the exclusionary rule is the Miranda rule, which arose from the Court decision that a confession could not be admitted into evidence unless a defendant was informed of her or his rights under the Fifth Amendment. These rights included the right to remain silent, to have an attorney present during interrogation, and to have an attorney provided if the accused can not afford one. 2 . Struggles over rights follow a pattern similar to interest-group politics in economic issues. 7 . Some use is still made of the Sedition Act, although the Supreme Court has increasingly protected political speech. b English-speakers often prefer monolingual schools. c Is prohibiting gay men from serving as Boy Scout troop leaders discriminatory? a Supreme Court initially denied that due process clause made the Bill of Rights applicable to the states. B . What is speech? Some kinds of speech are not fully protected. h Internet regulation ruled unconstitutional by the Supreme Court. IV . Who is a person? A . Corporations and organizations usually have same rights as individuals. 1 . When can reasonable searches of individuals be made? 2 . What can the police search, incident to a lawful arrest? 3 . What about an arrest of someone in a car? 2 . Courts began to adopt the second position, allowing some exceptions to the rule. 2 . Executive order then proclaimed a national emergency; noncitizens believed to be a terrorist, or to have harbored a terrorist, will be tried by a military court. 3 . Can the people the U.S. captures be held without giving them access to the courts? Law should not punish speech unless there was a clear and present danger of producing harmful actions. Denies the government the right, without due process, to deprive people of life, liberty, and property. A standard of equal treatment that must be observed by the government. Improperly gathered evidence may not be introduced in a criminal trial. Right of people to speak, publish, and assemble. People shall be free to exercise their religion and government may not establish a religion. First Amendment requirement that law cannot prevent free exercise of religion. An error in gathering evidence sufficiently minor that the evidence may be used in a trial. Court cases that apply the Bill of Rights to the States. Writing that falsely injures another person. Reasonable cause for issuing a search warrant or making an arrest; more than mere suspicion. A judge’s order authorizing a search. An act that conveys a political message. Court ruling that government cannot be involved with religion.